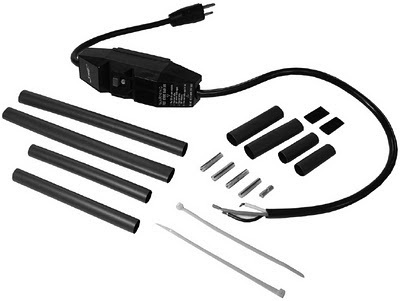 Introducing the new EASYHEAT GFST-1 120V Plug-In Power Connection Kit for SR trace 120 Volt Self-Regulating Roof and Gutter or Pipe Heat Trace Cable - Mor Electric Heating's Blog about home, office & factory comfort heat & freeze protection for pipes & roofs. EasyHeat’s new GFST-1 kit allows you to create a 120 Volt terminated with plug heating cable similar to the PSR Series, using their cut-to-length SR Series cables (SR51J and SR81J). It can be made longer than the longest PSR which is the PSR1100. The GFST-1 will be in stock within a week. Line Plug to Heating Cable, Plug Adapter Kit for Easy Heat SR trace 120 Volt Self-Regulating Roof and Gutter or Pipe Heat Trace Cable. The GFST-1 120 volt plug in power connection kit with ground fault circuit protection provides a convenient, integrated solution for Self Regulating cable connection for freeze protection installations of water pipes, refrigeration drain lines and roof / gutter applications. 120 Volts, 15 Amps Max. 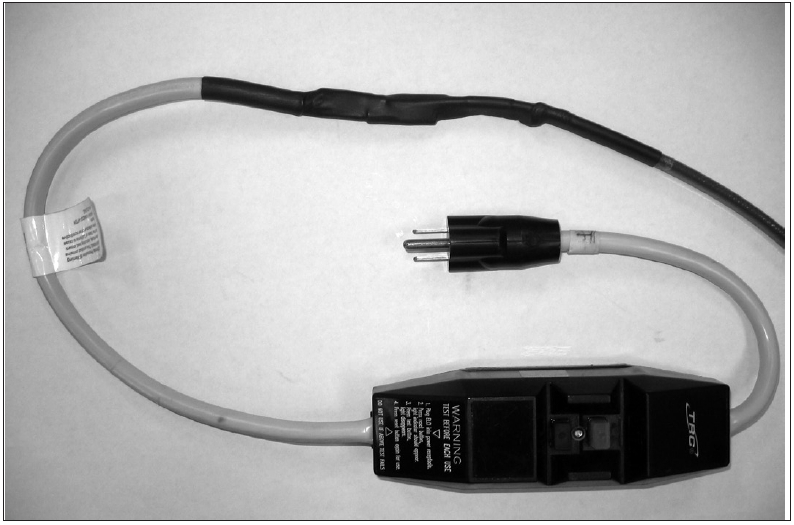 NOTE: Instructions are a supplement to heating cable connection kit instructions. 1. Position the heating cable with ground braid and ELCI ground lead on the same side. 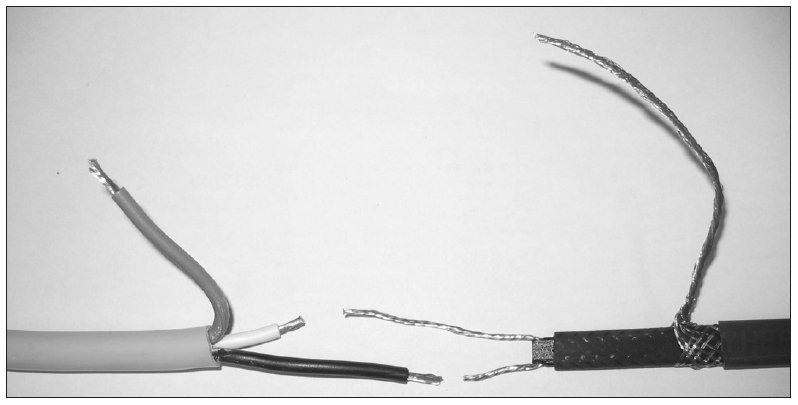 Remove 1.25” (32mm) of the bus wire opposite the live (black) lead of the ELCI from the heating cable, creating an offset for insulated splice connections. 2. 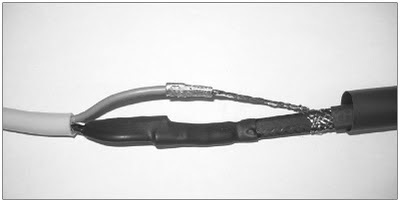 Slide one 0.63” (16mm) dia., 9” (229mm) length shrink tube over one heater cable. Slide one 0.5” (13mm) dia., 6” (152mm) length shrink tube over the ELCI cold lead. 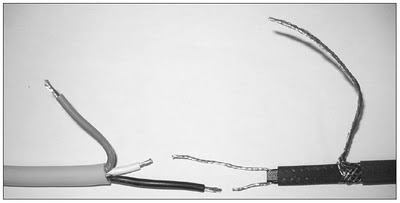 Crimp the buss wires and lead wires together using insulated splice connectors. 3. Center the 0.5” (13mm) dia., 6” (152mm) length shrink tube over the con¬nectors leaving the ground braid strap and lead exposed. Shrink with heat gun until completely shrunk. A uniform bead of glue should appear around the ends of the shrink tube. 5. Center the 0.63” (16mm) dia., 9” (229mm) length shrink tube over the splice. Shrink with heat gun until completely shrunk. A uniform bead of glue should appear around the ends of the shrink tube.